Although the Atlantic League schedule is balanced with each team playing the other seven 20 times for a 140 game schedule, the divisions are still necessary to seed the postseason. This season, the early season schedule has been heavy on inter-division play, which the Freedom Division (York, Sugar Land, Somerset and Lancaster) have dominated. Somewhat stunningly, out of these 10 series, the Liberty Division only won one of them, Camden’s triumph over Lancaster last weekend. Prior to, the Liberty’s best result had been Bridgeport and Southern Maryland earning splits with York. Johan Limonta’s grand slam to left field sailed over the picnic tents and onto the clubhouse roof at Sovereign Bank Stadium on Tuesday night, for the long-awaited first home run of the season for the Revs. Six games into the season, York finally hit its first home run. Johan Limonta destroyed a Gaby Hernandez pitch to left field with the bases loaded, and it nearly left the entire facility. It’s the latest into the season the Revolution has hit their first home run, but it’s not the first time the first homer of the year was a grand slam. That distinction goes to Matt Esquivel, who hit a grand slam in the first inning of the second game of the 2009 season at Bridgeport in a 12-8 loss. Corey Thurman went eight innings Tuesday night, allowing just three hits, two earned runs and two walks while striking out five, evening his record at 1-1. It was the 53rd win for Thurman in a York uniform, placing him just nine behind Lincoln Mikkelsen for second place on the all-time Atlantic League list. While Mikkelsen could very well be in his sights this season, Thurman is at least two more solid seasons away from catching Tim Cain for the all-time league wins mark, which stands at 74. Considering Thurman notched 13 victories in 2011, and 14 last year, he could keep a slightly slower pace and still do it if he continues to pitch as well as he has early this season and next. It took about a week to finalize, but left-handed reliever Rommie Lewis has finally joined the Revolution in time for their first roadtrip of the season. 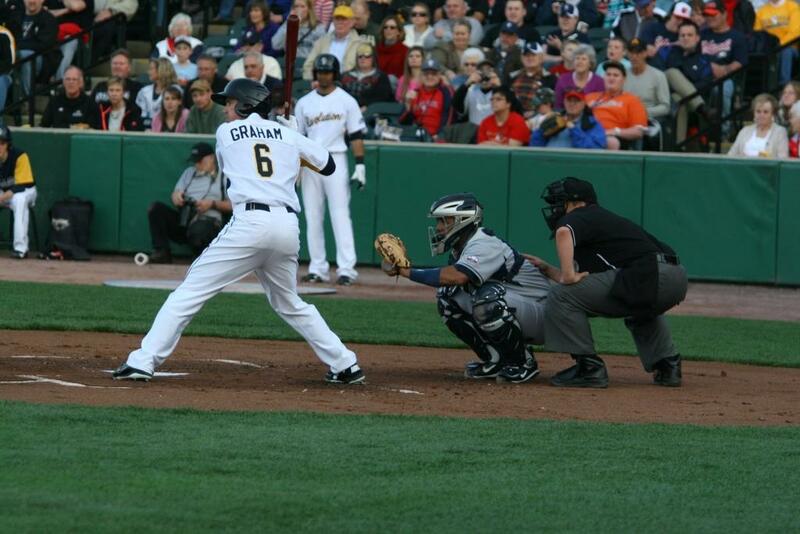 The 6’6″ southpaw pitched for Bridgeport last season, and reached the Majors with the Toronto Blue Jays in 2010 and 2011. 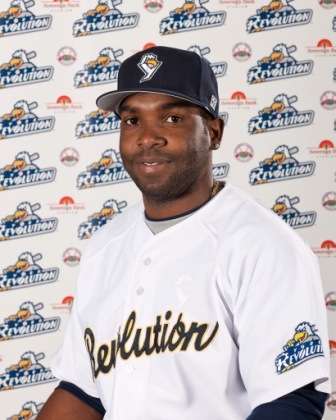 Lewis is the fifth former Bluefish on the current York roster, joining fellow relief pitchers Julio DePaula and Juan Rincon and infielders Wilson Batista and Andres Perez. Lewis excelled out of Bridgeport’s bullpen last season, posting a 2.05 ERA with seven saves in 47 appearances and 52.2 innings pitched. He had a strikeout to walk ratio better than 4:1, fanning 45 while walking just 11. 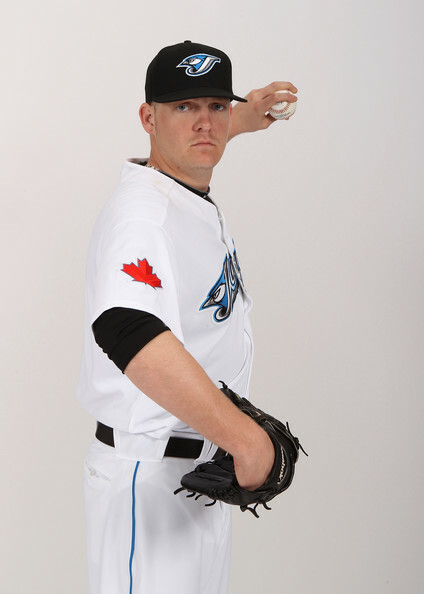 In 2011 he made six appearances out of the Blue Jays bullpen, and got into 14 games with Toronto a season prior in 2010. In 10 professional seasons, Lewis has accumulated 48 minor league saves, 25 of which came in 2002 at Class A Delmarva in Baltimore’s system. He was originally drafted in the fourth round by the Orioles in 2001. Although the Revolution released three pitchers and placed another on the inactive list following camp to break with 25, they are now taking full advantage of the Atlantic League rule that allows teams to carry 27 active players until June 1. On that date, all rosters must be trimmed to 25 if they aren’t already for the remainder of the season. For now though, there will be no subtractions off the roster with the addition of Lewis. On Saturday the Revolution signed left-hander Dustin Pease to their bullpen, and it will be his second tour of duty in York. After appearing in 54 games with Wichita in 2010 and posting a 2.45 ERA with 64 strikeouts and a 6-1 record, Pease joined York upon the conclusion of the American Association season and appeared in eight regular season games with the Revs. He was with the club as they captured the 2010 Atlantic League Championship. The Baltimore native pitched collegiately not far from the Charm City or York, at Division I Mount St. Mary’s University in Emmitsburg, Maryland from 2004-2007. He was solid the last two seasons in the San Diego Padres organization with a 3.18 ERA in 55 games at A-Advanced Lake Elsinore in the California League in 2011, and a 3.94 in 52 games at Double-A San Antonio in the Texas League last season. Pease continued to post impressive strikeout totals, fanning 66 in 2011 and 56 in 2012. Due to Atlantic League rules allowing 27 active players to be carried on rosters until June 1, no players were released by York with the addition of Pease. The Revolution roster will stay at 26 for the time being. Although Atlantic League rules permit teams to carry 27 active players until June 1, the Revolution has trimmed it’s roster to 25 to begin the season, 13 pitchers and 12 position players. That means no position players in camp with the team were let go. Three pitchers were released: Lefties Wade Korpi and Joe Testa, along with right-hander Nick Schumacher. Pedro Liriano, who was absent from camp due to VISA complications traveling from the Dominican Republic, has been placed on the inactive list. The Revolution retain his rights, and he still may be on the roster this season. But he won’t start the season with York. The Revolution will likely bring in a 14th pitcher in a relief role during the first week of the season. When this deal is finalized we’ll have it here, but for now it appears no one will be released when that happens and the roster will remain at 26 until the next transaction. York’s starting rotation for the most part is clear: Corey Thurman, Brett Tomko, Chris Cody and Nick Green. While Matt Fox was/is slated to be a starter, he is building his arm up slowly coming off injury. It looks like Kris Regas may be the fifth starter in a temporary role until Fox is ready. But Fox is healthy and will likely come out of the bullpen in the meantime. Of the 25 players, 13 have Major League experience: Pitchers Julio DePaula, Matt Fox, Josh Judy, Juan Rincon, Corey Thurman, Brett Tomko and Michael Wuertz, infielders Andy Gonzalez, Andy Marte, and Eric Patterson and outfielders Jeff Fiorentino, Tyler Graham and Jason Repko.